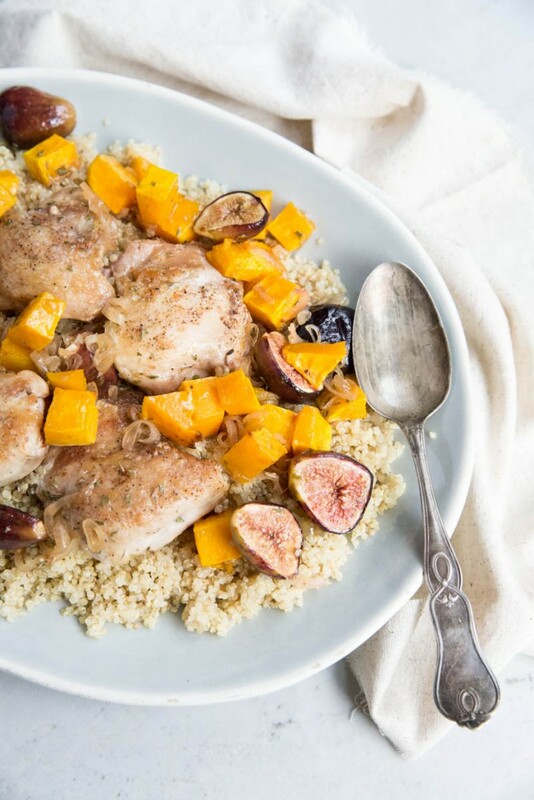 This Recipe for Roasted Chicken Thighs with Figs and Butternut Squash is just lovely, right?! I like beautiful things; I’ll be the first to admit. I often pick out a book or wine bottle because of their covers, put my kids in my favorite clothes that we’ve got for them, and I enjoy taking pictures of everyday beauty and sharing them on instagram etc etc. Motherhood isn’t always beautiful and it doesn’t always allow me the time to make or create beautiful things but I have continued to find beauty even in this unlikely stage of life. This dish even, it looks like a mommy such as myself wouldn’t have time to prepare something so grand, but it’s actually one of the easiest and simplest recipes I’ve made lately. My days are often met with lists that don’t get finished, naps that don’t get taken and dishes that go unwashed. We wake up with a plan do at least one activity whether it be grocery shopping or visiting friends and we usually meet it, though often tardy. During the down times or times at home I’m often met with the temptations to ignore my kids to try to ‘get things done,’ or even just space out for a moment or two. I’ve found myself looking forward to rocking my little one then when I get to, I’ve found myself zoning out on pinterest while I’m doing it. Or playing a game with Everett yet checking my phone throughout. Somedays end with guilty feelings. I wake up the next day with a better plan to be more focused, have a better agenda, enjoy the moment more. I’m consciously trying to master this art of slowing down motherhood, unplugged (this is hard for us bloggers!). What I’ve found is that I need grace. I need to give it to myself and receive it from God. He gently reminds me to relish in these sweet days of mothering young kids and often times I do respond well. Those times instead of checking my phone in the rocking chair, I stare at my little girl, even getting a crick in my neck from long observations of her, and I have moments of pure laughter with my boy embracing his contemplative and silly nature. With grace, I’m lifting my head to notice more and see the beauty more. Sometimes the beautiful parts of motherhood are hard to notice while other times they are obvious. Just the same, a reheated leftover meal may be just as lovely with the time it allows for other things, as this quickly prepared, though stunning, dinner. 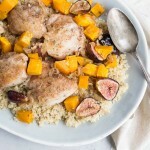 This meal can be made in a matter of 25-30 minutes and the show stopping fall colors of the figs and squash along with the flavor of the honey vinegar sauce, truly make it a magical, seasonal meal. 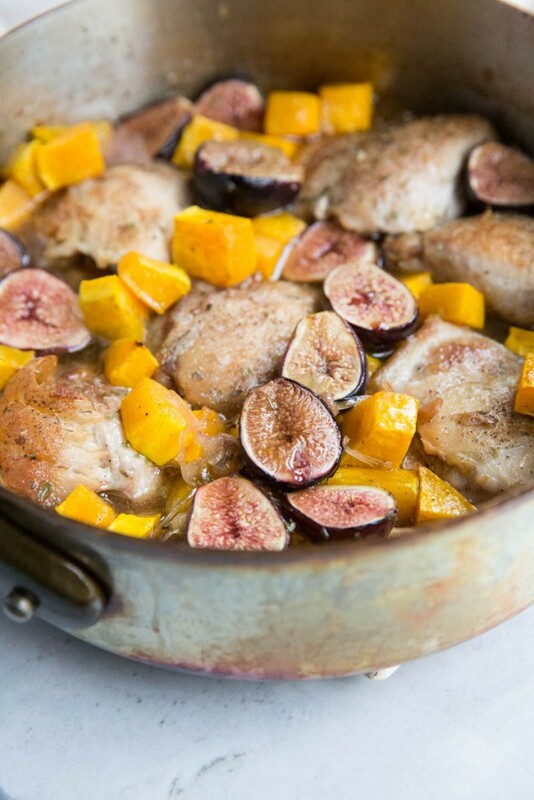 An easy, elegant, 30-minute meal of Roasted Chicken Thighs with Butternut Squash and Figs. Season chicken with half of the salt and pepper. Heat oil in a large oven safe skillet. Sear chicken, skin side down (or the flat side down if you bought skinless), for 8 minutes or until medium brown. Flip and cook for 2-3 minutes on the other side. Transfer chicken to a plate and add in shallot. Saute the shallot for 3 minutes, then add in the cubed squash and cook for 8 minutes. Add in the honey, red wine vinegar, and water, along with the other half of the salt and pepper. Stir in the herbs. 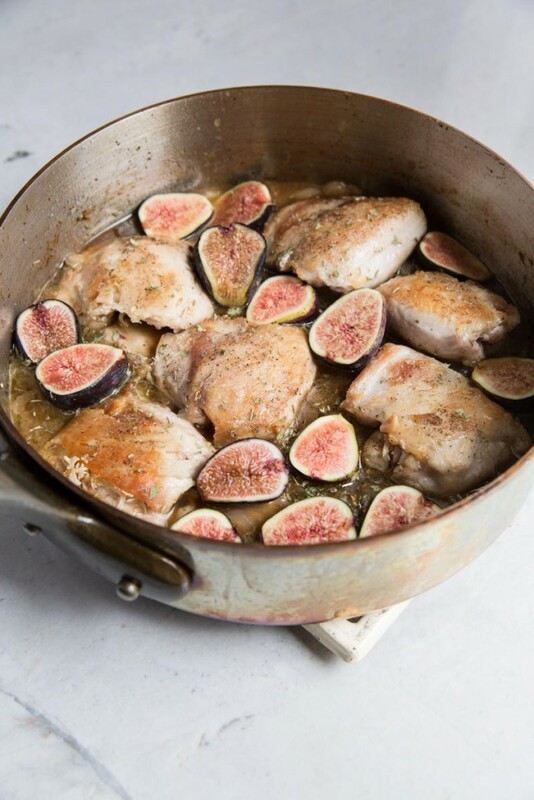 Place the chicken back in the pan, skin side up, along with the figs. 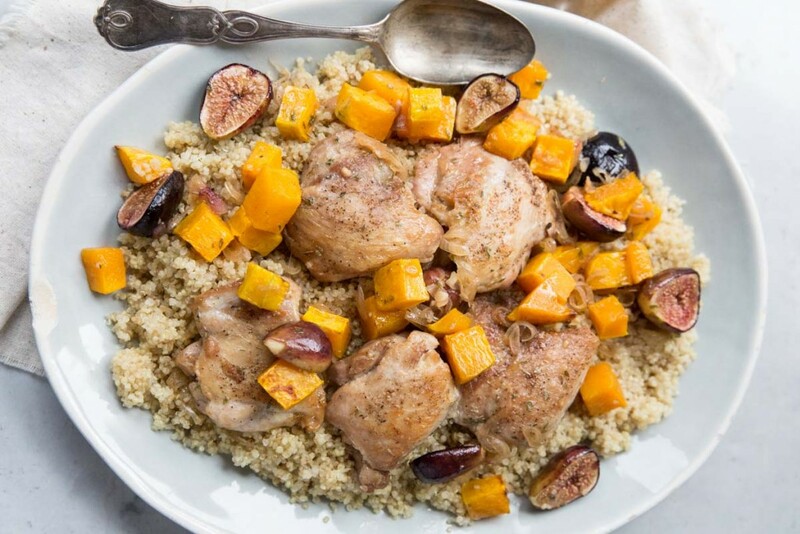 Transfer the skillet to the preheated oven and roast for 25-35 minutes or until chicken reaches 165 and squash is tender. Serve hot with wild rice or quinoa. This is a lovely family meal, Becky. It truly is beautiful. Just like you and your words. Wishing you a relaxing day full of grace. XOXO! This really is a lovely dish and would be so special to have on a weeknight! 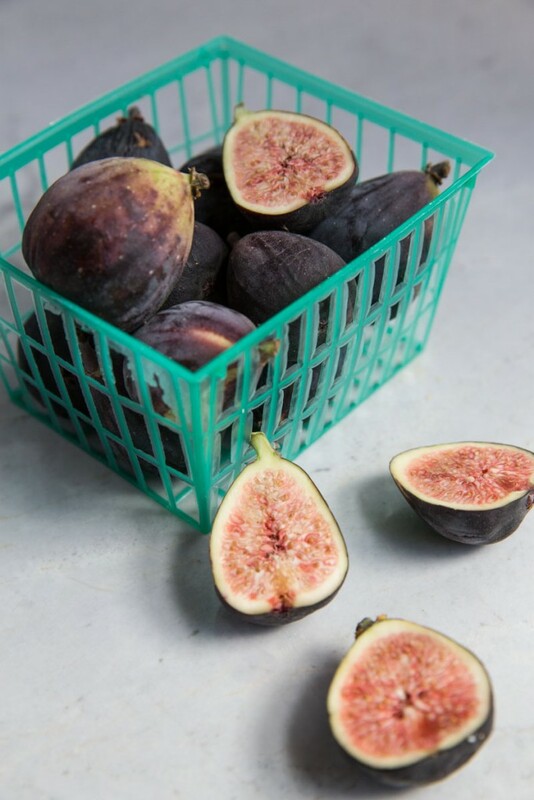 I love the figs here — they’re so perfect in savory dishes. 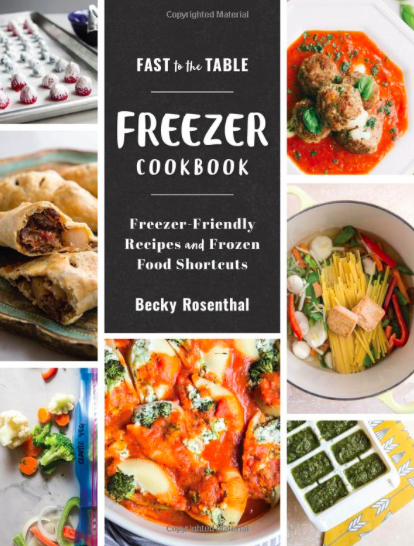 Thank you for hosting another wonderful month Becky! Thanks Marci!! It’s fun to have a few dishes up my sleeve that I can still serve easily when I have young kiddos. I love your creativity with chicken dishes! You always share such unique and lovely chicken recipes, and this one sounds fantastic! Thanks friend! I need some good beef recipes to branch out more!! Those precious moments of motherhood are the ones to cherish, Becky! 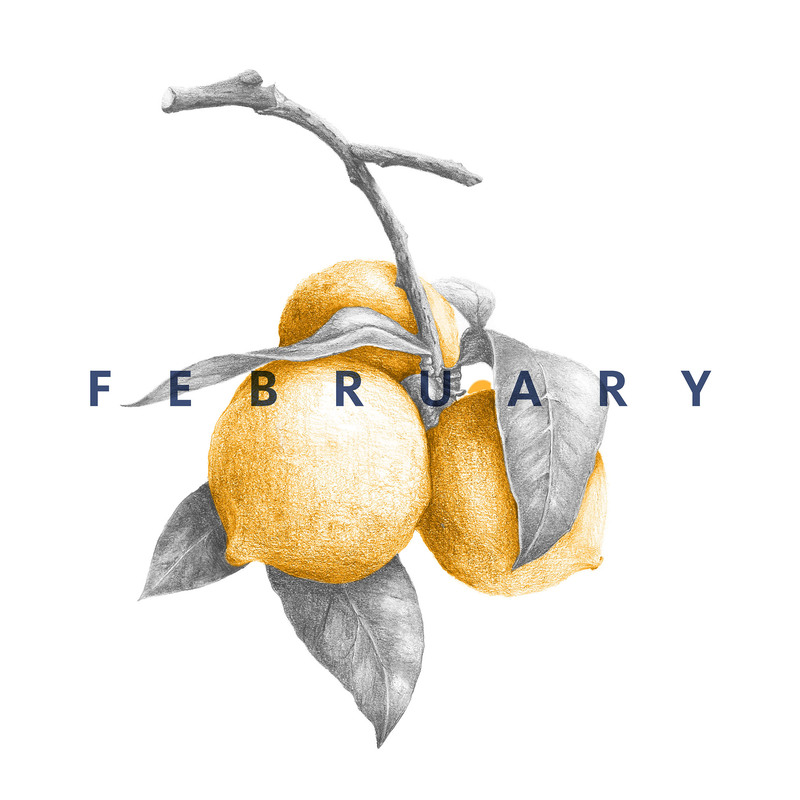 I remember when getting that one thing accomplished was the most I could hope for, and now that my kids are getting older, while it doesn’t get easier, it’s a little different and I miss those times when I was forced (in a good way) to enjoy the calm. 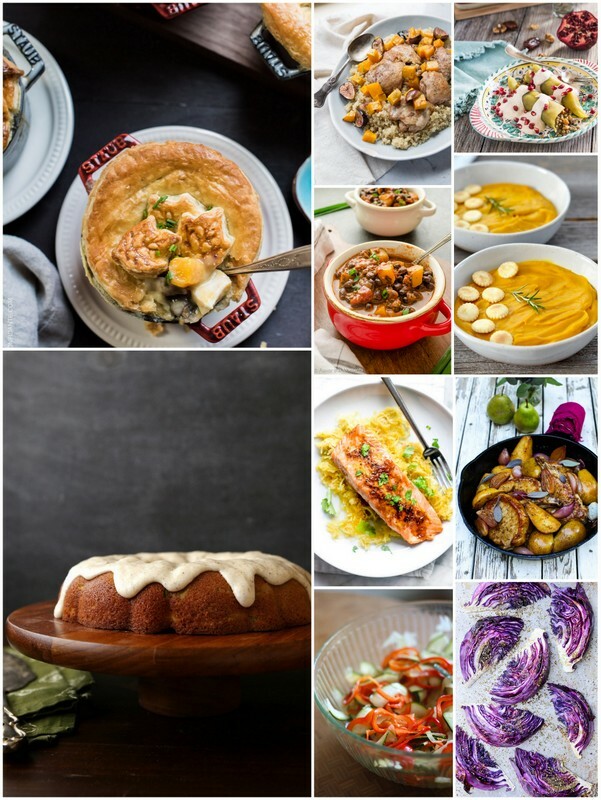 Any meal on the table is an accomplishment and a beautiful thing – but this especially so!! I love when figs are used in savory dishes! YES to enjoying the calm! Trying to do that and live simply. I know life will get busier as the kiddos grow. 🙂 Thanks Liren! My mouth is watering just looking at those figs. What a nice contrast to all the other flavors. Thank you for the gracious stories of mothering and your precious babies. What an elegant (yet easy) meal! Perfect to serve to guests this fall! I remember being super convicted about flipping through Pinterest while nursing Naomi! I had to choose to put the phone away and soak in that sweet snuggly time that I would never, ever get back again. Even now I live with a little regret how much I let my phone occupy me (or keep me awake) during those sweet nursing moments, and know I won’t let that happen again with this next sweet baby! I’m with you!! Definitely don’t want to have any regrets or take away from these moments that I know pass so quickly! I’m a sucker for buying the wine with the pretty lables! And I keep buying baby clothes that are cute even though my husband insists that our son has way too many clothes already! 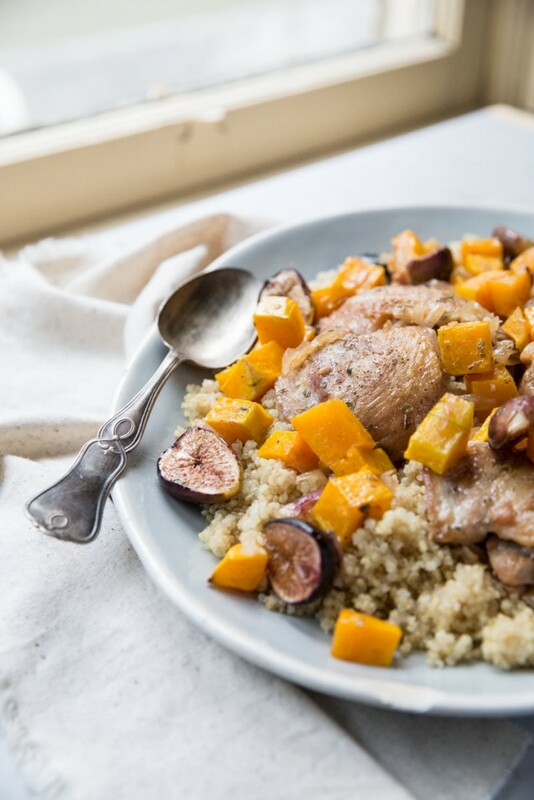 This dish really is beautiful and gets me so excited for fall!